We are kicking off a week of fun baby related giveaways! Think of it as a backwards baby shower… I had the baby, but you get the gifts! Orajel is coming in to help mama’s and babies deal with teething. Orajel is a brand a lot of us know and trust, and I’m really excited about their new line. They’re introducing the first homeopathic line of teething pain relief, recommended by pediatricians and pharmacists, and trusted by parents. 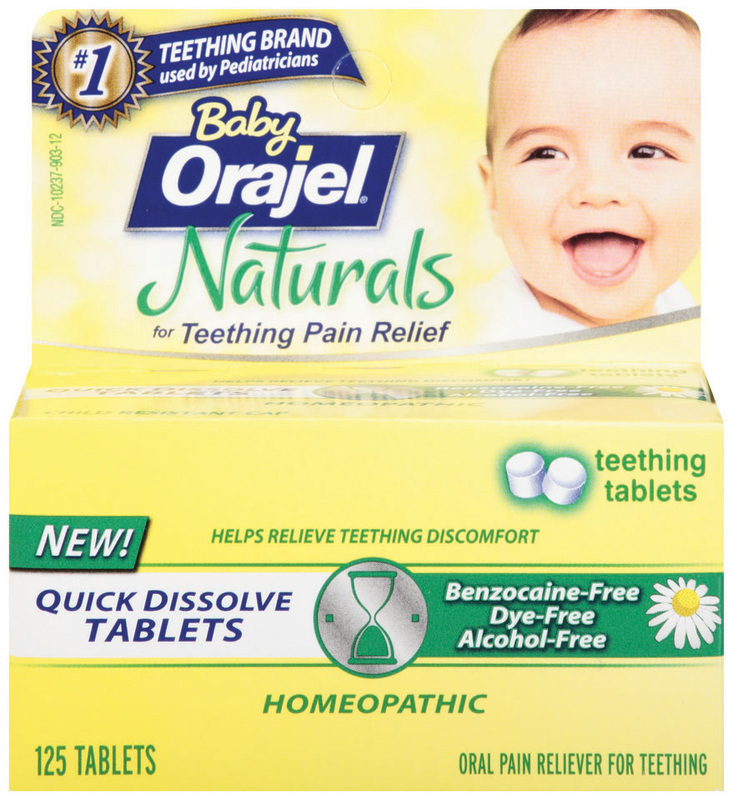 Last month I received some samples of the Orajel Naturals Teething Tablets and we’ve tucked them away until Sarah gets old enough to need it. These new products are using the soothing power of Chamomile to relieve baby’s teething pain and doesn’t contain benzocaine, belladonna, dyes or parabens. I know parents dread teething because their kids are uncomfortable, and in the heat of the moment you are about ready to do anything to soothe a fussy baby… but really you want to only give them things that will help and are healthy for them. 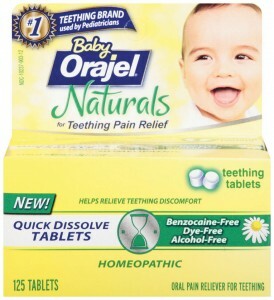 Orajel is giving 3 Southern Savers Readers 5 boxes of Baby Orajel Naturals Tablets for their own little ones. Leave a comment below with something you’ve used to help soothe fussy teething babies. This giveaway was sponsored by Baby Orajel, but all opinions are 100% my own.